Splish Splash! This adorable learner is ready for her first swimming lesson and certainly looks the part. The iconic Victoria Baths in Manchester is referenced on the little ones life aid. Why not let this bathing beauty adorn your bathroom? 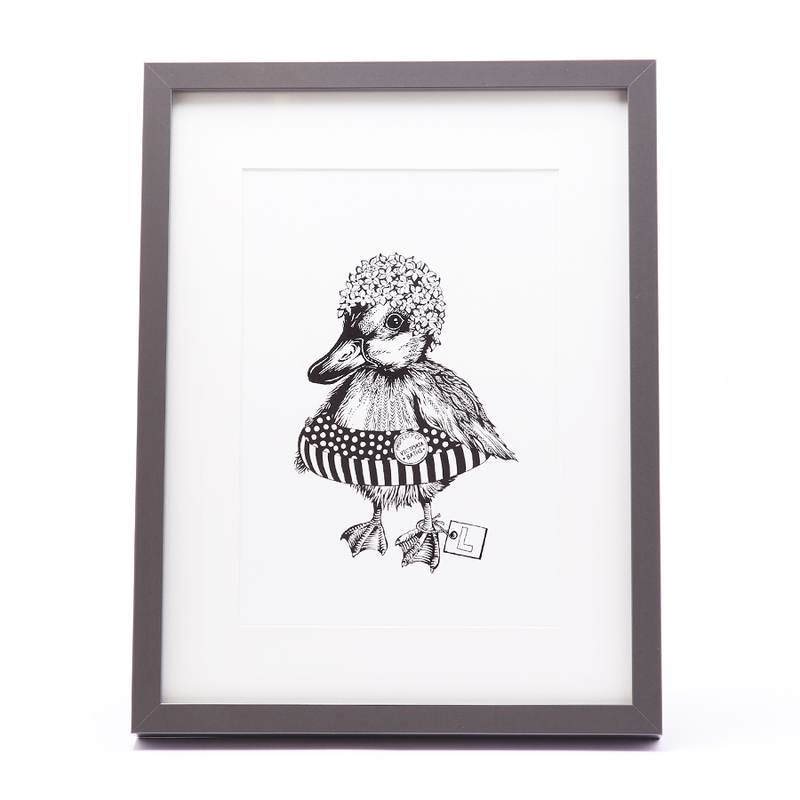 The illustration is digitally printed onto 350gms specialist cotton paper, mounted and framed in a choice of white/ grey or black wooden frame.